At a recent convention in Nashville, Arrow star Stephen Amell teased that he’d be making a “really fun announcement” at The CW’s upfront presentation today, and now we know what that announcement is: Batwoman is coming to the next Arrow, Flash, Supergirl, and Legends Of Tomorrow crossover event, and the heroes will be visiting her in a sleeply little hamlet known as Gotham City (via The Hollywood Reporter). This won’t be a crossover with Fox’s Gotham and Batman himself most likely will not show up, but this will still be the first time any of the Arrow-related shows will be making a direct connection to the Batman universe—not counting a visit to Blüdhaven in an episode of Arrow or the tongue-in-cheek Bat-nods on Supergirl. 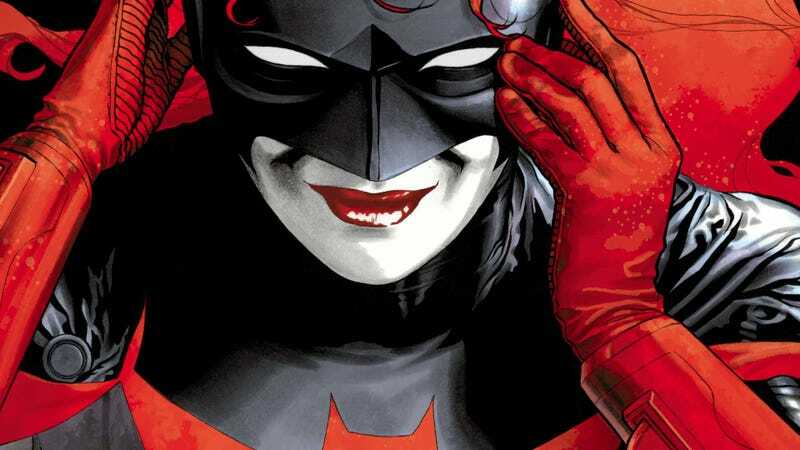 The modern version of Batwoman is Kate Kane, a Gotham socialite and vigilante who pays homage to the Bat-Family’s iconography while not really being a core member of the team like the various Robins or Batgirl (she’s also one of DC’s highest-profile gay characters). Unless The CW’s plan is to just make her a stand-in for Batman with some clear indication that he does not exist in this universe, Batwoman’s distance from the Bat-Family will give Arrow and the other shows a chance to have some Gotham adventures without necessarily involving Bruce Wayne, Jim Gordon, and the rest of the people who are integral to a traditional Batman story.